Your company in co-operation with VEK. Discover the many aspects where you can be present. 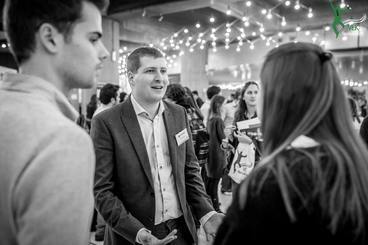 As the official student association of the Faculty of Economics and Business Administration (University of Ghent) we represent more than 6.000 students with the following study programmes: Business Engineering, Business economics, Economics, Business Administration, and Public Administration and Management. Thanks to our strong presence at the Faculty, we can bring your company in contact with the most fit profiles even before these graduate, and this thru diverse channels. Moreover, our mission is to aid all students during the development of their career. We strive to inform as many students as possible and to let them get acquainted to the current business scenery. This we achieve by providing extra-curricular background and we let the students meet the companies for they can obtain their dream job. As the official student association of the Faculty of Economics and Business Administration (University of Ghent) it is our mission to aid all students during the development of their carreer. We strive to inform the students as much as possible and to get the acquainted to the current business landscape. Throughout the academic year, you can partake in one of our many recruitment events. Via countless and big events a lot of students can be reached. And much more than those of our own faculty! The rang of the VEK goes much more futher! 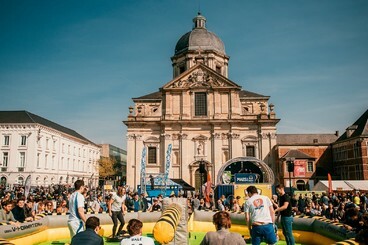 At our last edition of Student Street Soccer or at the 24 houres of the Yucca there were more than 5000 students present, where the majority studies at an other faculty. U can contact our students via mailings, the vacancy platform on our website, Facebook, career guide, flyers, posters, etc.